It developed in Judea a Jewish province that belonged to the Roman Empire. Christianity has different branches with a variety of belief and practices. The three major practices are Roman Catholicism, Easter Orthodoxy, and Protestantism. They each have subcategories of their own. Christina beliefs include the belief in only one true God who exists as Father, Son and Holy Spirit. The History of Christianity is based on the life, death and resurrection of Jesus Christ. Jesus was born from a young virgin woman name Mary. She claimed to be impregnated by God's holy spirit. Christians believed his birth was a fulfillment of a prophecy from the Jewish Old Testament, which claimed that a messiah would deliver the Jewish people from captivity (Patheos). The story of Jesus is told in the writing of Matthew and Luke in the New Testament. 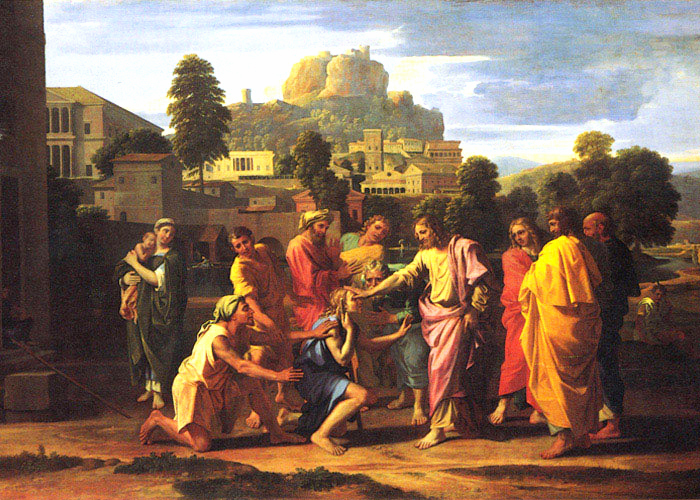 According to the gospels, Jesus began a public ministry in his late 20s (patheos). He had 12 disciples who followed his teachings and joined Jesus on his travels where he healed the sick and performed miracles, as well as preaching in the name of God. The claimed angered people and they reported him to religious authorities. Jesus was arrested in Jerusalem and was tried for heresy. He was whipped and nailed to a cross and left to die (BBC). This was called a crucifixion, which was a common practice in the Roman Empire. Jesus resurrection is in the book of Acts. On the Sunday following his execution, Jesus' followers went to his tomb and discovered that his body was gone. Jesus appeared to them alive and his followers believed that God had raised Jesus from the dead (BBC). During the festival of Shavuot or Pentecost, it is believed that Peter, one of Jesus' disciples, stood up and preached the first christian sermon (Patheos). This is also believed to be the birth of the Christian Church. Jesus disciples began baptizing people in their community. the baptized Jews continued to attend the temples, reading Jewish scripture, kept the Sabbath, practiced Jewish dietary and religious practices (Patheos). Other Jews prosecuted Jewish Christina because they saw them as a different groups who worshipped a false messiah. The persecutions led to a spread of Jewish christian from Jerusalem to countries surrounding Judea and Samaria (Patheos.com). The Book of Acts tells the story of a Jewish man named Saul. Saul was a Roman citizen who persecuted Jewish Christians. On his journey to Damascus Jesus spoke to Saul and asked why he persecuted him. After the incident Saul converted to Christianity and became Paul, the great missionary. He founded non-Jewish Christian communities in several cities of the Roman Empire. (Patheos.com). Christians suffered brutal prosecution from several Roman Emperors. Among those were Nero (54-68 CE), Domitian (81-96 CE), under whom being a Christian was an illegal act, Marcus Aurelius (161-180 CE), Decius (249-251 CE), and Diocletian (284-305 CE) (BBC.com). During the prosecutions many Christians died for their beliefs, which make them martyrs of the Christian church. Emperor Diocletian vigorously opposed Christianity. In 303 CE he ordered the destruction of all Christian buildings and confiscated Christian books. He also dismissed and imprisoned Christian government, military and clergy officials. In 305 CE Diocletian fell ill and relinquished the throne. 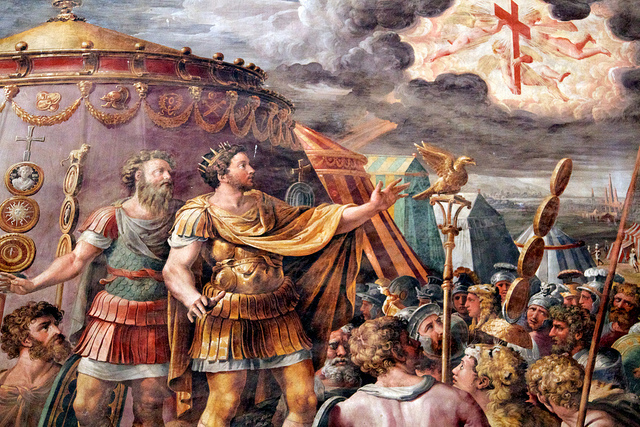 This led to a civil war in which a soldier name Constantine emerged victorious as the new ruler of the Roman Empire. In 312 CE he declared himself a Christian and in 313 CE he issued the Edict of Milan, which established equality among all religions and in the process legalized Christianity for the first time (Patheos.com). Under Constantine's rule, Christianity became the official religion of the Roman Empire (bbc.com). He convened the first Ecumenical Council in Nicaea. This was the first council that included all bishops from Eastern and Western regions of the Empire. The council issued a creed that affirmed the doctrine of the Trinity. It was called the Nicene Creed and it summarizes the core Christian beliefs and it is seen as authoritative by all Christian branches (patheos.com). When the Roman Empire fell in 476 CE, the Eastern and Western Christian churches no longer had the same political ties and their differences lead the their split. The split formed the Orthodox Church (East Greek Byzantine Christianity) and the Roman Catholic Church (West Latin Roman Christianity). The Orthodox Church does not recognize the authority of the Roman Papacy (bbc.com).